Understand customer behavior. Make the most of every visitor. 3 Crazy Egg helps you pinpoint problems in your conversion funnel from the time a user engages with your web application, making it the perfect complement to SurveyMonkey. 3 Five visual web analytics reports show you where people are getting stuck or frustrated on your website so you know the right questions to ask. 3 Recordings of individual user sessions reveal how customers are interacting with your surveys in real-time. 3 A/B testing tools let you put your survey insights into action quickly and validate whether your updates were effective; no coding necessary. Crazy Egg provides quantitative data that tells you what is happening on your site. SurveyMonkey helps you understand the qualitative side - why it’s happening. Used together, you can identify aspects of your customer experience that are underperforming, capture feedback and make improvements. Crazy Egg helps you pinpoint problems in your conversion funnel from the time a user engages with your web application, making it the perfect complement to SurveyMonkey. Our five visual web analytics reports show you where people are getting stuck or frustrated on your website so you know the right questions to ask. 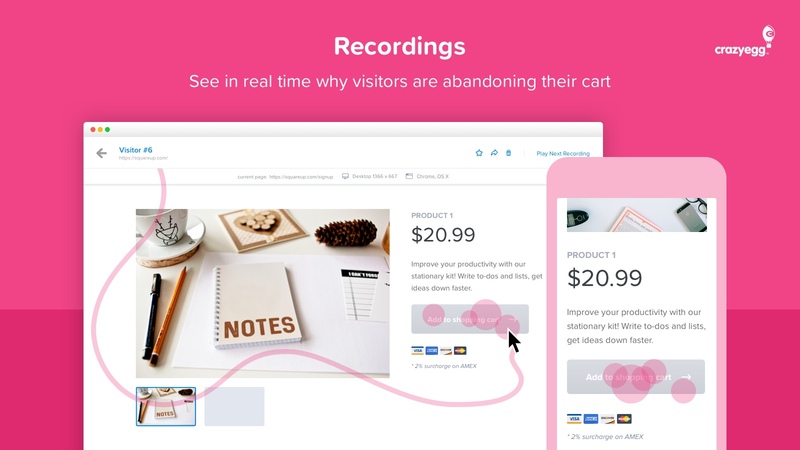 Our recordings tool captures individual user sessions so you can see how customers are interacting with your surveys in real-time. And our A/B testing tool lets you put your survey insights into action quickly and validate whether your updates were effective; no coding necessary. Our five easy-to-read visual reports give you the insights you need to launch surveys with confidence. 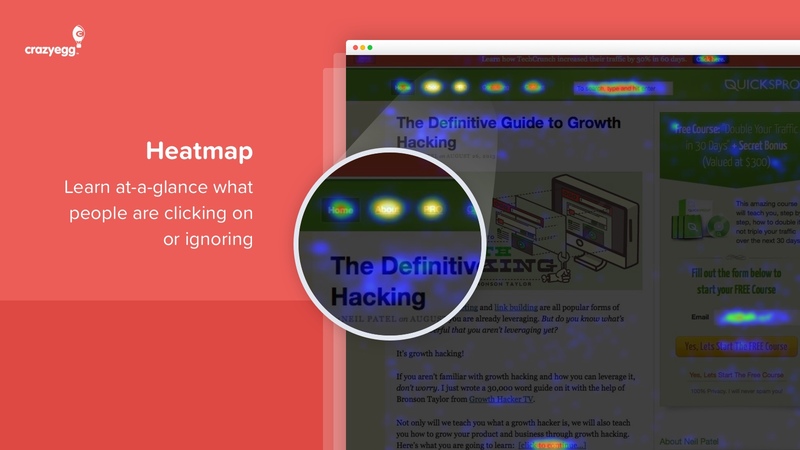 Heatmap and Scrollmap: Identify at-a-glance the highest areas of click activity and how far people scroll down your webpages so you know where best to position your surveys. 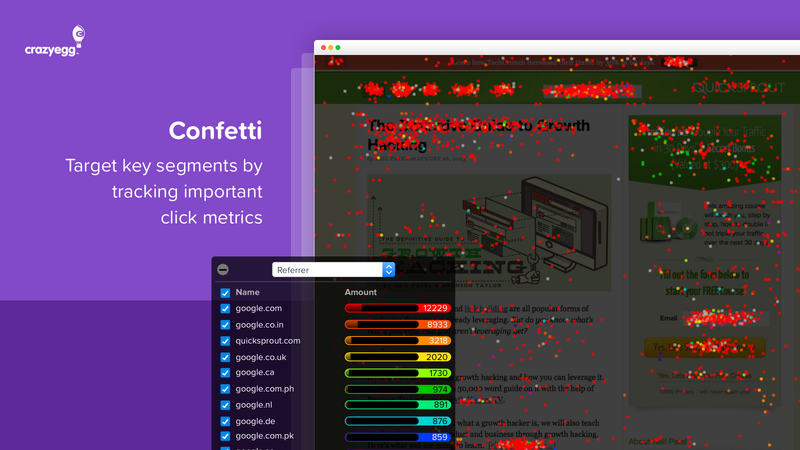 Confetti: Track click activity by visitor segment. Create segments of your users to target specific questions to ask. 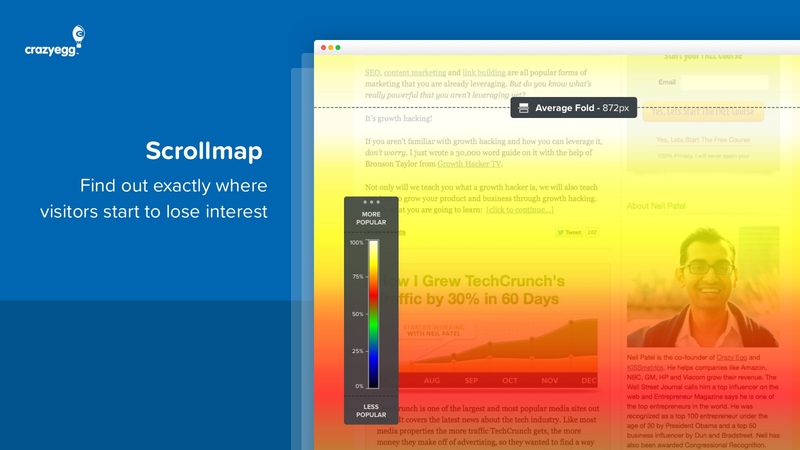 Overlay and List: Surface click-through rates on every single one of your web page elements, including your surveys. See in real time the challenges your customers are experiencing so you know what questions to ask them in SurveyMonkey. Find out where the majority of cart abandonment happens during the checkout process. Identify UI and UX issues that are preventing your site visitors from becoming customers. You can also use recordings to watch visitors who responded to a survey. What were they doing immediately prior to their response that could shed light on their feedback? Ready to put your SurveyMonkey responses into action? The Crazy Egg A/B Testing tool can help! Use our site Editor to make quick changes without the help of a developer. Set a goal for your A/B test that we’ll report against so you can quickly see whether your changes made a positive impact on your business. Nervous about making a change to your site? As soon as we detect a winning variant, we'll send more traffic to that winner automatically to minimize any losses.